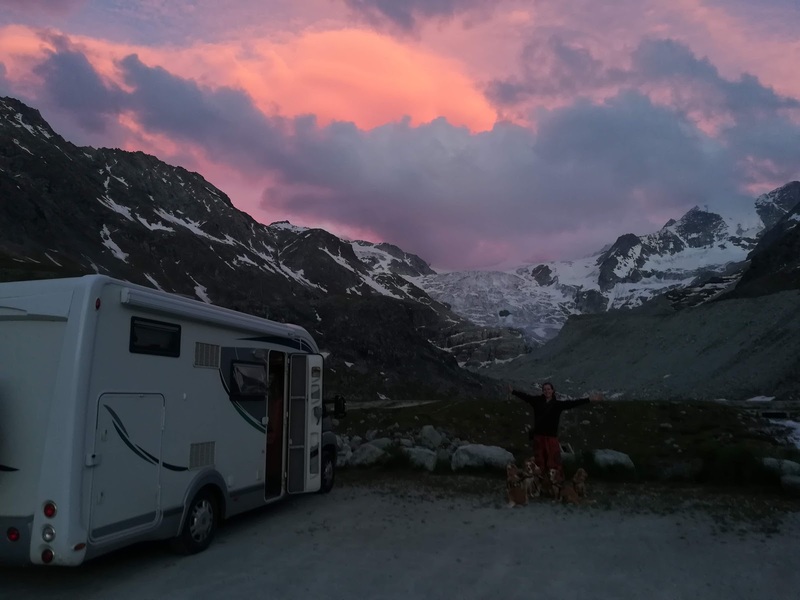 When we picked out Ceillac on our map of the Queyras Regional Park as a possible destination it was for entirely practical reasons, with an intention to use it as a motorhome base while we attempted the hiking Tour de Queyras GR58 which we expected to take 6-8 days. We could have picked out other bases in the park, but the hiking guide for the tour that we had seen used Ceillac as a starting point and so, after our successful cycling recce, we decided to do so as well. Little did we know how much self reflection, personal growth and learning was lying just ahead of us or that we would find so much solace from our base in this peaceful alpine village. When we decided towalk the Tour de Queyras it was with lofty goals in mind, such as improving fitness, reconnecting with nature and rediscovering the peace and tranquillity we remembered from previous hiking tours. We got so wrapped in the minutiae of planning the trip, weighing out food portions, digging out the hiking gear we had carried but not used for so long and imagining what it might be like that we completely failed to consider whether we were actually fit and well enough to take on the tour! The fact we hadn't hiked at all for several months and that we hadn't even worn our brand new boots yet was pushed to the back of our mind. We were so full of optimism as we set off early that Monday morning, uphill into the sun, that it was shattering to find ourselves a little over 24 hours later back at the motorhome (by bus) having endured a trying day (physically and emotionally) followed by a terrible night under canvas with a shared stomach bug really emphasising that something wasn't right in our attempt. Yet this time something made us stay where we were. Maybe it was an eagerness to continue the talking and exploration of our relationship we had begun at Camping de Savel a few weeks before and continued at the camping at Guillestre, or maybe we were just tired of running away from that unsettling sense that something wasn't quite right between us and within ourselves. Either way, as the days flowed after our aborted hiking attempt we talked and reflected, argued and reconciled and then argued some more. At times there was significant pain at the resentment and despair that we felt, other times lightness and elation at believing we had reached a deeper understanding of what exactly the 'problem' was. At other times there was just confusion. It was during these days that we also began to use the time to individually and jointly explore new areas exploration, using books and audiobooks we'd had on board for some time but just hadn't got around to opening. Perhaps if we had done so sooner they wouldn't have 'clicked' with us, but this time they really did and as we began to learn about concepts and ideas that we both experienced a great sense that there was something about these words that resonated with how we were feeling. Then things really came to a head one night (actually on my birthday) in an especially heated argument when we reached, yet again, that breaking point of should or should we not continue this journey together. But this time there was a key difference. Rather than resolving things by analysing past events, we instead used the tools we had just started exploring and our changing perspective to start to more deeply come to terms with and forgive the issues from the past. It was a powerful moment. So it is that 3 weeks now since arriving in Ceillac we are still here and benefiting greatly from our time here. We may not have walked the Tour de Queyras but have instead embarked on a completely new adventure, dividing our days between talking learning and occasional activities to let off some stream. All of the connectedness to nature, to each other and a greater sense of happiness that we set out to find on the tour we have instead started see is right there all the time, we just need to learn how to look at things a different way. It still comes and goes, but we have a new sense of optimism and acceptance of whatever the future might bring. Of course we are still very, very early on this new journey we have begun and a 'journey' is precisely how see it, although unlike other journeys we have made we're not sure this one has a destination. In fact, it is in accepting that there is no destination and only a desire to be more in the moment rather than in painful past memories or fearful future projections that we have begun to feel more alive. When we created this blog, more than a year ago now, we were prompted to add a sub-heading to the template and casually chose the words “on our journey back to health and happiness” and we meant them. Yet we only meant them in one specific sense, that of physical rest and the pursuit of excitement and adventure which we believed would lead to the happiness we were searching for. Yet, it is only now that we are coming to realise how true that sub-heading really is but also how much more vast the concepts of 'health' and 'happiness' really are.